Methinks Sungevity is a bit ahead of their time for residential solar. Solar is getting cheaper to deploy every year and doable for large deployments but maybe still too early for significant growth in residential space. It will come but maybe they got too eager too soon on expansion. Panel production is still very proprietary and nowhere near commodity levels yet. I don't think their plans included a Trump presidency. Good point, at this stage residential can probably only work at a largish scale with significant tax breaks for installing. And even then still fairly niche until panel production yields are much better. Amount of energy produced per square inch (capturing photons) improves every year or two. At some point it will become good enough and cheap enough that it could be almost at price level to use solar panels instead of roofing tiles. But nowhere near there yet. Sungevity will probably maintain leadership in residential space but may need to scale back operations a bit until timing is right. Hopefully they can manage to stay alive with fewer deployments per year as mass scale could be 5-10 years away. earthling wrote: Hopefully they can manage to stay alive with fewer deployments per year as mass scale could be 5-10 years away. So much for that. Sungevity files for bankruptcy. "A court-supervised sale of the company is planned" - So doesn't necessarily mean KC presence is out yet. Significant fire last weekend at City Center Place, ironically just behind the exterior wall where the Sungevity signage was recently removed. Hypothesis is that debris in the boiler flue ignited, causing fire damage to the office part of the USPS post office. Downtown, full-service postal services will now only be available at Union Station. However, I believe a postal "finance" branch still operates in one of the government buildings. The recently remodeled Starbucks will be closed for several weeks for water damage remediation. ...the renovation will include an update to food offerings, a coworking space, reactivation of the lower roof terraces, an updated lobby and elevators, along with conference, hospitality and fitness centers. 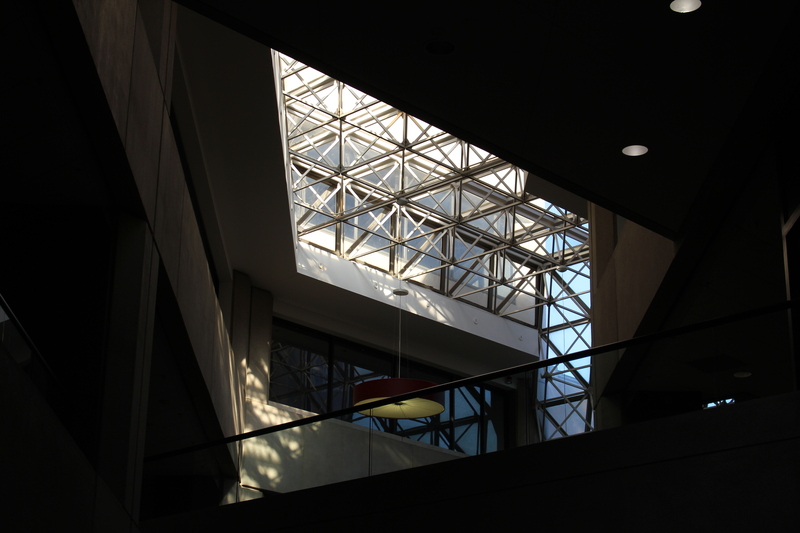 Somera Road also plans to replace the current skylight with a "lightwell" system that would run through the lobby. Confused by the whole lightwell thing, especially since it's spelled out on signs in the rendering. I hope it doesn't mean they're getting rid of the space frames. They're probably the coolest aspect of the building. Check out those expanded retail terraces though. I'll take it. Also by reorienting the steps they're eliminating the ability to walk down the steps diagonally which is nice. I've seen more people fall on those few steps because almost no one walks straight down them but rather diagonal to get to the intersections. Was LightWell the name of a restaurant on top of the short section? They keep talking about reopening the LIghtWell. Looks open to me if actually a lower case lightwell. I think it's just the developer's name, right? No clue, really. The should rebrand it the "We don't want to pay 95% of our property tax burden" building. Not as catchy, I know. The green is nice. I was hoping for actual outdoor entrances and use the current food court death zone for something else. Could bring those few quick service places to street entrances in Baltimore side. I'm open to being mistaken, but I think that's what you're seeing in the drawing. Future patios with outdoor entrances. I just realized that this rendering has scooters in it, some by the Lightwell sign on the ground and some near the other entrance near the intersection. Neat! 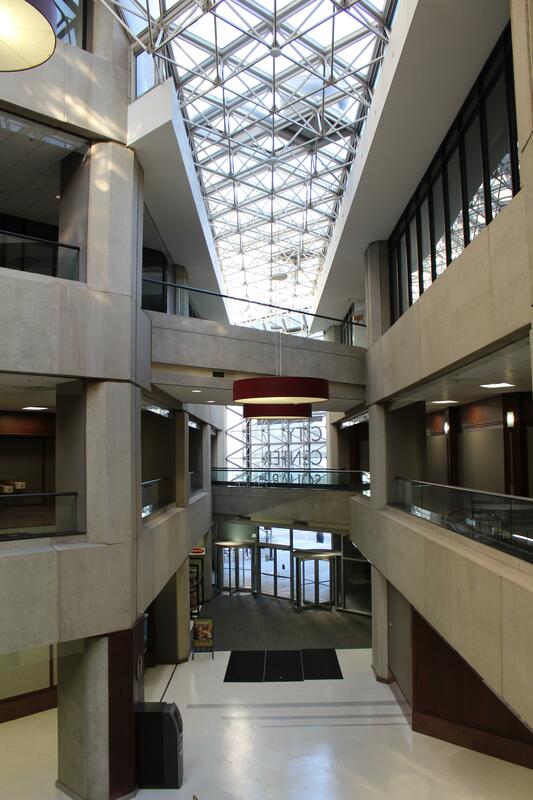 You can see them better in one of the renderings in the CitySceneKC article about the project. City Center Square will be renamed Lightwell as part of this project. Seems odd but CityScene KC's article says that is because of the close proximity to the Power and Light District. The new management group, named "Area," in charge of City Center Square has begun to close restaurants in its food court. Word on the street is that the "Curry in a Hurry" Indian restaurant (which was inauthentic cooking btw) closed, because the building terminated its month-to-month occupancy (no lease). The Mexican restaurant "Wrap It Up" has one year remaining on lease, and the Chinese restaurant "Koko Teriyaki" has three years remaining on lease. No news on "Subway," "Starbucks," "Jason's Deli," "Domino's," nor "Tasty Burgers and Gyros." I think Curry in a Hurry is moving to Crown Center. Curry in a hurry has a loyal following. Another Indian place would be well served replacing them somewhere in the loop. Kulture Kurry has a spot at H&R Block food court on something like MWF. Wish they (or anyone else) would set up a regular spot downtown.